Finally the song ya’ll been waiting for is out now. 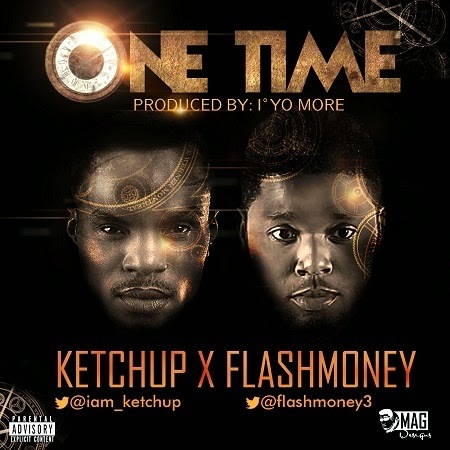 Freshest collaboration from best of both world artistes; “FLASHMONEY” aka industry takeover teaming up with mr “KETCHUP” aka fresh boi fidem girl dem on a dope tune titled “ONE TIME” produced by fast rising beat monster “IYO’MORE BEATZ”. This joint is just too fresh! Ya’ll gotta love this one.